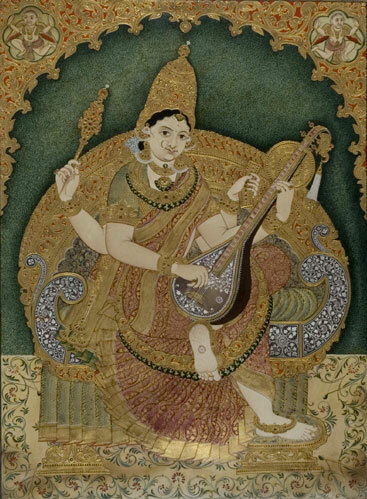 Though extremely popular in South India, the Tanjore and Mysore traditions of painting have not received the scholarly attention that other popular traditions have enjoyed. Art historian Barbara Rossi places them midway between classical and popular traditions. 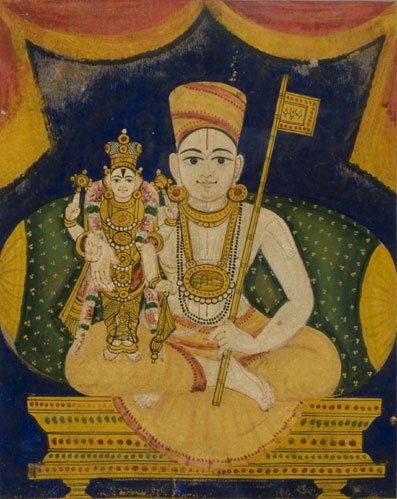 Mysore paintings are more subtle and done on paper, while the Tanjore works on cloth stretched over wood. Both styles are opulent in articulation and deal mostly with sacred icons painted for devotional purposes. The painted surfaces, raised in relief, are built up using lime stone paste and embellished with gold leaf, highlighted with coloured glass or jewels embedded in the gold leaf. The theatrical framing of the iconic paintings should be particularly noted.